Now here's an exciting product for a Friday: cough drops. 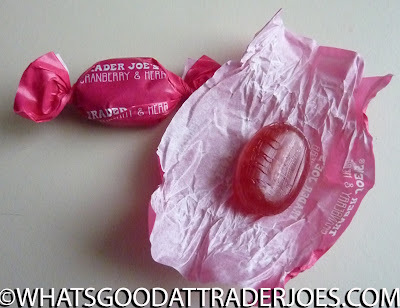 If you're disappointed, blame Trader Joe. He's the one that prominently displayed these on the New Items shelf during our last TJ's run. Hold on to your seats for a riveting "food" review. First off, we've checked out at least one other product that's arguably more "personal care" than "pantry." But one might point out that these could be consumed like candy, just as the Vitamin C Drink Mix could serve as a traditional beverage. 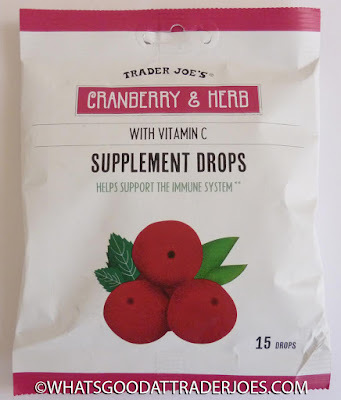 Before you scold me for advocating the recreational use of medicinal substances, I'd like to mention that it's really darn difficult to overdose on water-soluble vitamin C, even with drops like these, which each contain 33mg of the substance. It's over a third of your recommended daily allowance, but in my estimation, one's body could glean more useful vitamin C by glancing in the general direction of an orange—but of course, the "dietary supplement" facet of these drops isn't the only reason to consume them. There's also the soothing menthol cough suppressant effect going on here. Miraculously, neither Sonia nor I are sick <knocks on wood> after battling the Four'Easter, like many of our readers in the eastern half of the country. Still, we can tell there's a nice moderate sinus-clearing, throat-calming quality in these drops. They would most definitely come in handy during cold and flu season, which I'm hoping, at least, is nearly over for this year. 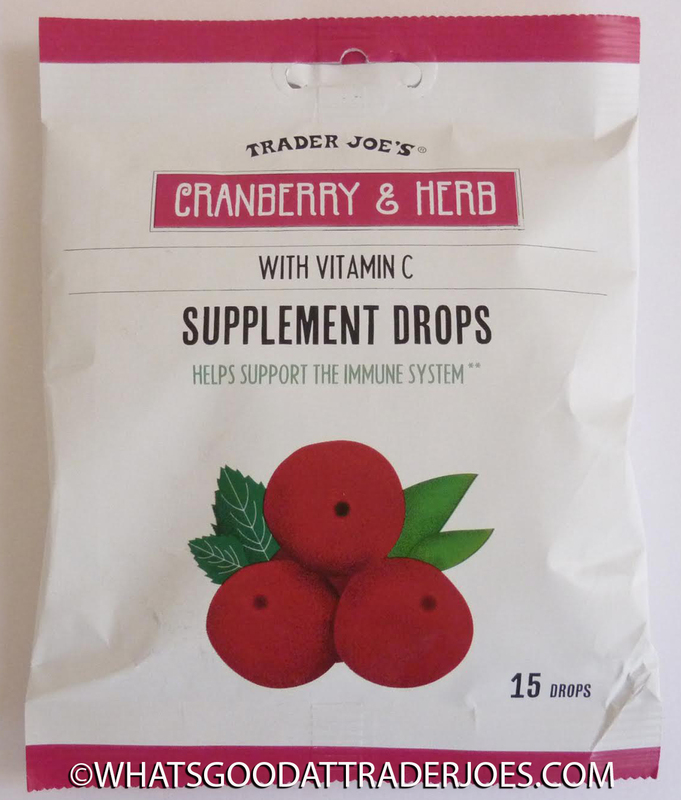 The flavor is distinctly tart, sweet, and berry-esque, and there is, in fact, cranberry juice present in the drops. I'm not sure what "herbs" we're supposed to detect here. There's nothing specific listed in the ingredients in that category other than "natural flavor." Menthol seems to dominate any non-berry aspect of the taste if you ask me. 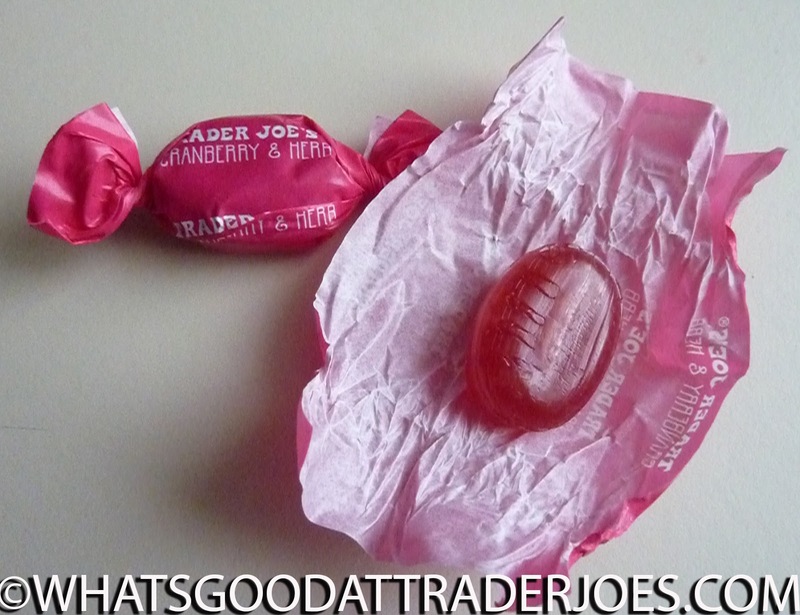 It's still a pleasant fruity flavor with minimal medicinal taste—along the lines of Ricola brand cough drops. The bag is only 99 cents for 15 drops. Oddly, they contain wheat. Sorry, gluten-free folks. Three and a half stars a piece here. Wow. WHEAT!! I guess they don't think it's good for cold just like all the sugar and glucose syrup they jammed into them. I am glad I can take a pass on them. The herbs are listed under the supplement facts, not the other ingredients because they’re cnnsidered active ingredients... the 21mg proprietary herb blend including peppermint and thyme etc. they sound pretty much like Ricola; candy posing as medicine. For sore throats you’re better off with Ludens which contains pectin (a known oral demulcent). Despite listing "wheat" in the ingredients, these would be considered gluten-free. Glucose syrup is so highly processed that there is none of the protein left in the final product. In this case, wheat is listed as a potential allergen for those with wheat allergies, not for those of us who are gluten-free.